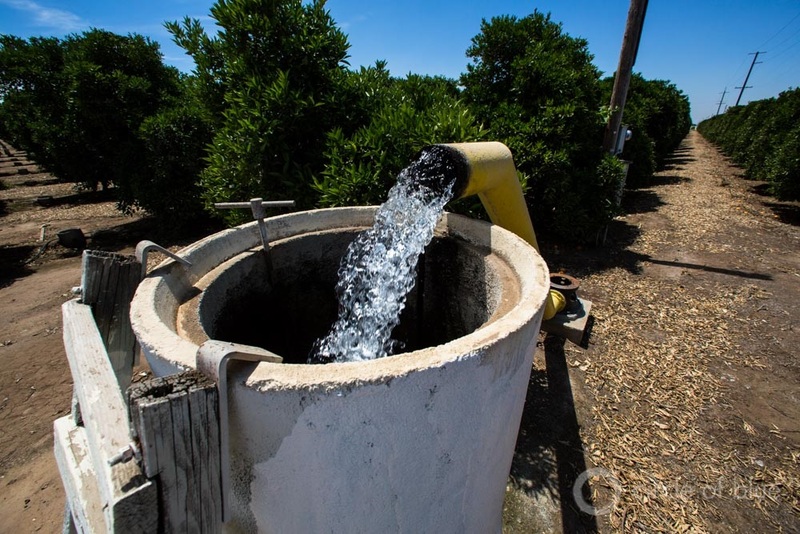 A well in California’s Central Valley pumps groundwater to irrigate an orchard. Better management of groundwater resources will help farmers and cities adapt to a hotter, drier planet. Click image to enlarge. To withstand deeper droughts and more intense rainstorms — the hydrological seesaw from extreme to extreme that is expected as the planet warms — international leaders ought to strengthen the oversight of groundwater resources, according to a report released today in Paris by the UNESCO-International Hydrological Program, a United Nations science agency. The report is a call to action for negotiators working on an agreement to limit carbon pollution, according to Jason Gurdak, a report author and a hydrologist at San Francisco State University. Negotiators, who are meeting in Paris through December 11, should recognize the links between climate change and groundwater, he said. The 51-page draft negotiating text does not include the words water or groundwater. Some observers see more momentum for water at the Paris climate conference than in previous summits. The thematic focus on December 2 is water and climate. In addition, Tales Carvalho Resende of UNESCO-IHP said that more than 250 countries, international organizations, and water agencies have signed the Paris Pact, a set of recommendations for managing rivers, lakes, and aquifers in a changing climate. That agreement follows the adoption in September of the Sustainable Development Goals, in which water was a core component for reducing poverty. Gurdak acknowledged that water is managed locally. Nonetheless, he said that international attention helps in two ways. By referencing groundwater in the agreement, leaders can draw attention to the severity of the problem. A majority of the world’s major aquifers have been depleted in the last decade, according to satellite measurements. World leaders also control the purse strings for climate adaptation funds, which can address gaps in groundwater data, research, infrastructure, and technical expertise. Developing countries could use the Green Climate Fund, established in 2009 to finance projects that help communities adapt to a hotter, drier world. Rich countries have pledged $US 10 billion to the fund, with a goal of $US 100 billion per year by 2020. Money from the fund or other sources could support scientific studies of groundwater availability, recharge rates, use, and contamination, all of which are poorly understood by scientists and water managers alike. The fund could back technical assessments of aquifer recharge projects, which store water underground for use in times of drought. “All this ties back to better financing, from both the public and private sector,” Gurdak said. Groundwater is relatively abundant, with aquifers holding 25 to 30 times as much water as rivers, lakes, and streams. Farmers and urban water utilities from Australia to Zambia tap the reserves to grow food, operate factories, drink, and bathe. Groundwater accounts for roughly half of the world’s drinking water and more than 40 percent of the water used to irrigate crops. When rain is scarce, groundwater can be a lifeline for farmers, who sustain their fields by pumping more water from below. Groundwater is also a lifeline for streams and wetlands during drought. Yet in many regions, groundwater an endangered resource. In California, groundwater levels are at record lows after four years of drought. The land is collapsing as the water that supports it is pumped out. Residential wells are failing, and rivers are dry. Groundwater resources on small islands are vulnerable to contamination by salt water as the oceans rise. In the breadbaskets of India, China, and the Middle East, water levels in key aquifers are falling faster than they can be replenished. The risk of food crises, political turmoil, and conflict grows as aquifers shrink. “It’s hard to talk about climate change, energy, and food without discussing groundwater,” Gurdak said.